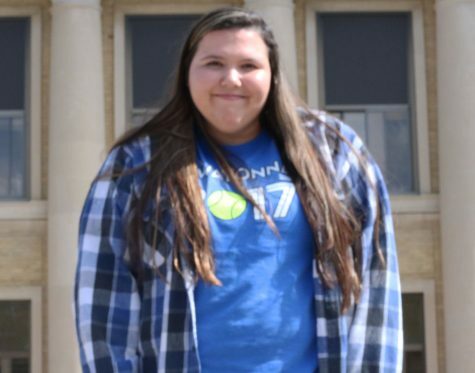 This is Ashlikay Castillo and she is a senior at Owatonna High School. Castillo is involved in link crew, managing the OHS Girls Basketball team, plays tennis and lacrosse and now she has joined Magnet. She loves to watch all sports; her favorites are football and basketball. Castillo plans on attending a four four year college after graduation. She made the decision to join Magnet because she heard it was a very fun class and she wants to become a better writer and photographer.